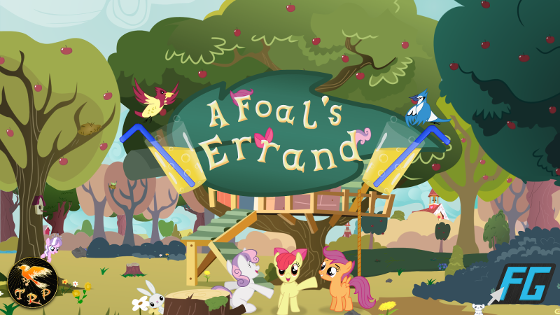 After a hiatus of decent length, Filly Gamez has proclaimed that they are "rising from the ashes" and are releasing a brand-new game at BronyCon, titled A Foal's Errand. 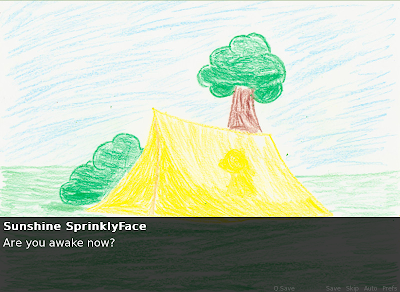 Unsurprisingly, it is a visual novel, and from what little I've seen I must say that it doesn't look half-bad. 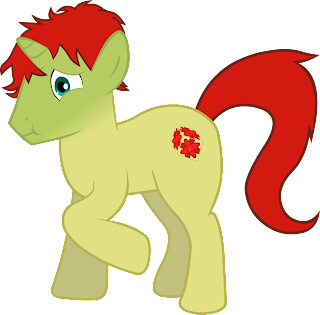 Hopefully the team will have learned from the mistakes they made in Welcome to Ponyville, although I'm still a little worried that it'll still end up being an unnecessarily massive download like the original. They also mentioned that it'll feature "a little horror", which should be at least somewhat interesting (as long as they handle it better than they did in WtP). 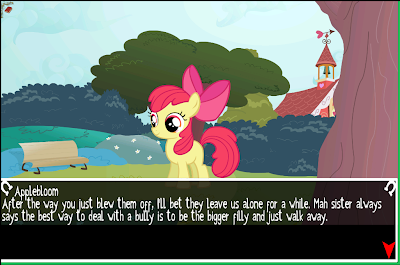 A screenshot of Applebloom talking, obviously.